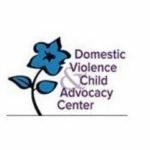 DVCAC has engaged in advocacy on behalf of victims of relationship violence and their children for over twenty-five years. 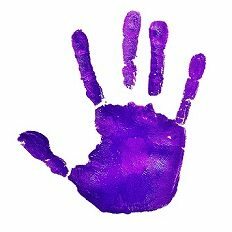 The agency is committed to advocacy as a principal strategy to improve the justice system and ensure that victims of abuse achieve safety, autonomy, health, well-being, independence, and justice. Advocates speak with each victim about their unique situation, explaining applicable court processes. Options are explored and considered, with an emphasis on safety and self-determination. Justice System advocates also provide safety planning assistance. Court escorts and follow up phone calls are provided as needed and help to ensure that victims are able to feel supported and informed during the court process. Advocates facilitate support groups which provide victims with the opportunity to receive peer support, feedback, and encouragement. Support groups are ongoing and are held weekly throughout the year. Advocates are involved in personal advocacy for victims. This support can include assisting victims in securing rights, locating emergency financial assistance; intervening with employers, creditors, and others on behalf of the victim; assisting in filing for losses covered by public and private insurance programs, including workman’s compensation, unemployment benefits, and welfare; accompanying the victim to the hospital; etc. In addition to Justice System Advocacy for adult survivors DVCAC has a program specifically for teens and young adults who may be experiencing dating violence, domestic violence, or stalking. All services are free to victims/survivors of dating violence, domestic violence and stalking. If you would like more information about the Justice System Advocacy Program, including information on protection orders, services for teens, or to talk to an advocate please call Shelly Dudas at 216-229-2420 or fill out a contact form here. For immediate help call our 24/7 Helpline at (216) 391-HELP (4357).